Over the weekend we visited Battersea Park. This park, opened in 1858 by Queen Victoria, is located on the south bank of the River Thames (across from Chelsea) in the London Borough of Wandsworth. This 200 acre space includes several flower gardens, a small children’s zoo, sports facilities and ample space to run around or just relax. 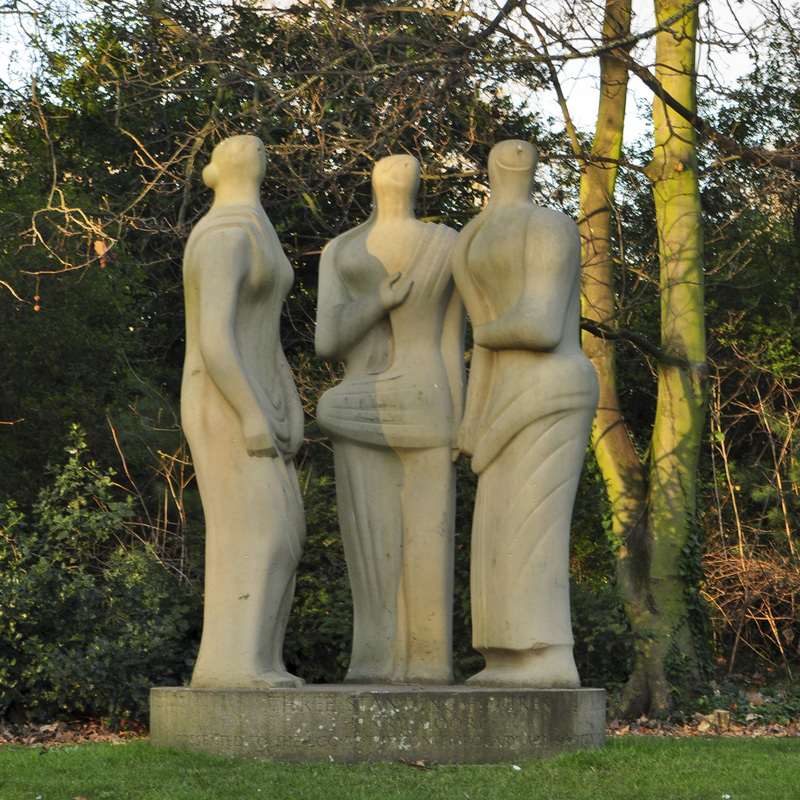 There are a number of sculptures throughout the park, including Henry Moore’s Three Standing Figures which overlooks the lake. 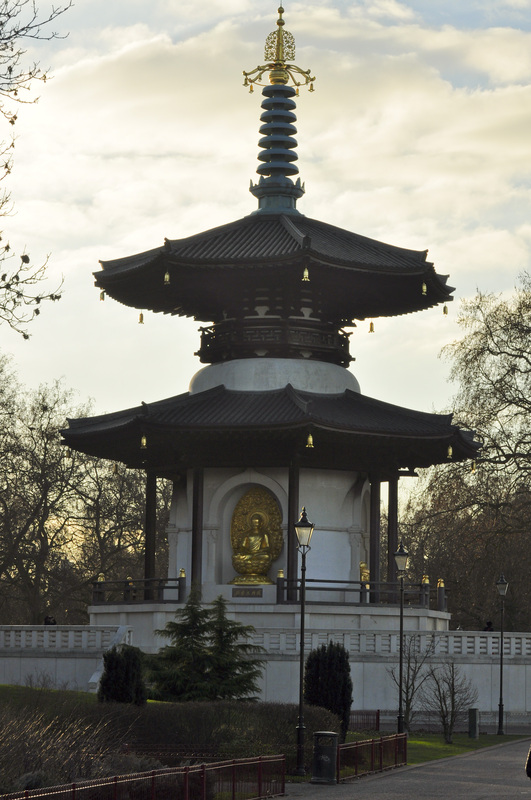 The park is also home to the London Peace Pagoda which was completed in 1985 by Buddhist monks, nuns and followers as a symbol for world peace. 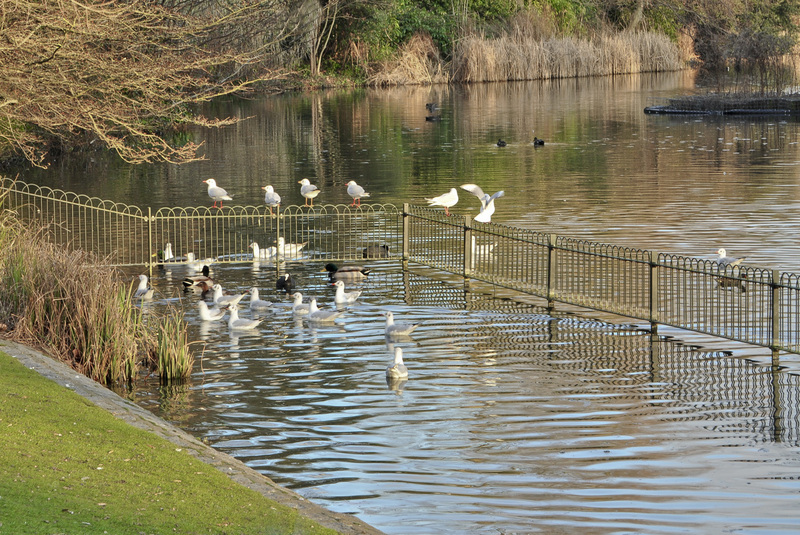 Battersea Park is one of the many beautiful green spaces enjoyed throughout London. 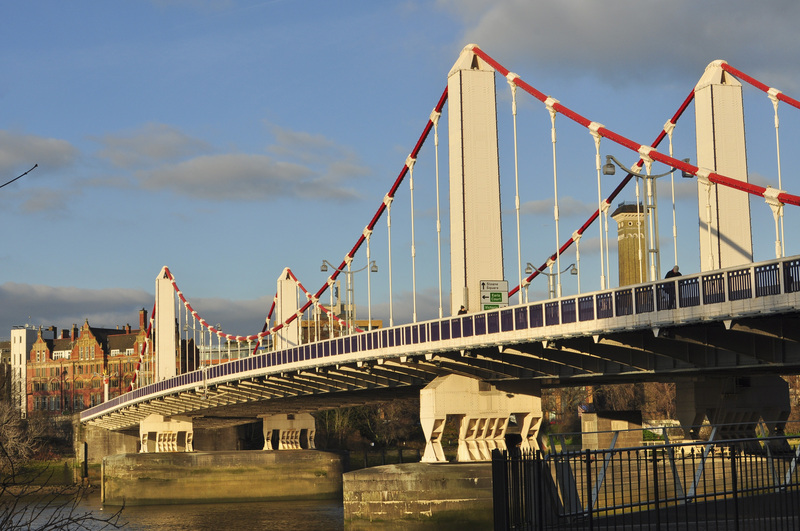 This entry was posted in The Sights and tagged Battersea Park, Chelsea Bridge, Peace Pagoda, Three Standing Figures. Bookmark the permalink. The park looks awesome and quite frankly so does everything else. It’s all so interesting and again you describe it all superbly! Um have you heard we have a a gazillion feet of snow here and counting? It’s freakin ridiculous! Keep up the good work sista! I know, I can’t believe all the snow! You are having a crazy winter! We love the three standing sculptures by Henry Moore. So glad you and Kev are taking in all the sights of London. Battersea Park looks phenomenal. It is now sleeting and freezing rain here, be grateful you are in London. Oh, we are grateful! We can’t believe the crazy weather you are having! Henry Moore would need to re-design those three figures with babushkas, puffer jackets and hand & feet warmers if they were in New England right now. Seriously Battersea Park looks like a great place to visit. Thanks for sharing your wonderful pictures and weekend expeditions!